Bulldog hop pellets. Homebrew beer hops. 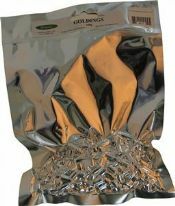 T90 type hop pellets, nitrogen flushed, vacuum packed aluminium foil packs, alpha-acid. Homebrew wine kits. Homebrew Ireland. American hops brings to mind styles such as APA, IPA and DIPA. One of the original craft types of American hops is Cascade, developed in the 1950's which later opened up for many new citrusy types such as Centennial, Chinook and Simcoe. Flavours such as Citrus, pine and tropical fruit are dominating in the American hops and with their high alpha acid content, they are also well suited as bittering hops. Top quality German hop pellets from Bulldog. Great for Pale Ales, IPAs and DIPAs. New kids on the block in Ireland for homebrew beer. These are perfect for creating African Pale Ales.